For many people, their smiles work against them as they feel self-conscious and sometimes even embarrassed in times of joy and pleasure. It is these same people that wish they could have that great smile and do not realize that the smile of their dreams is much easier to attain than they would ever think. The truth is that more and more people are calling our dental office with questions about cosmetic dentistry and the options that might be available to improve the look and in some cases even the function of their smile. 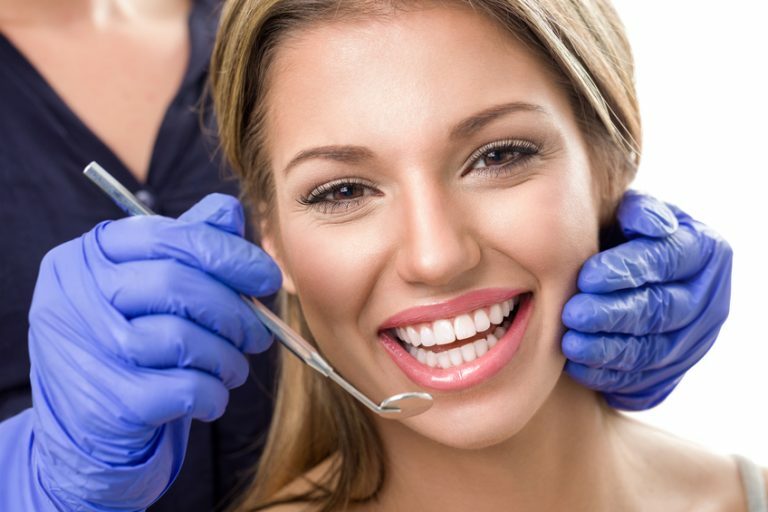 Cosmetic dentistry today features many amazing treatments ranging from simple teeth whitening to straightening, restoring and even replacing teeth. Some of these smile enhancing treatments can even be completed in as little as one or two appointments. Teeth Whitening – Our professional whitening systems works magic as it brightens discoloured teeth. This treatment is not only effective, it is also easy. With the custom bleaching kit we provide, you can whiten your teeth in the comfort of your own home. Crowns – are used to cover a tooth that has been repaired through a root canal, has cracked or has a large filling. Crowns offer extra protection to the damaged tooth. They can be made from a range of materials, but porcelain is the most popular because it blends in seamlessly with other teeth. Bridges – Missing teeth can diminish the appearance of a smile and can cause other teeth to drift out of place. Dental bridges are a commonly used solution for missing teeth. Dental bridges containing replacement teeth are anchored into place by healthy teeth on either side of the bridge. Bridges cannot be removed, but need to be checked for wear during regular dental checkups. If your smile is not all that you want it to be, you owe it to yourself to explore the possibilities that cosmetic dentistry has to offer. We invite you to call our office today… you might be very surprised just what you will learn.